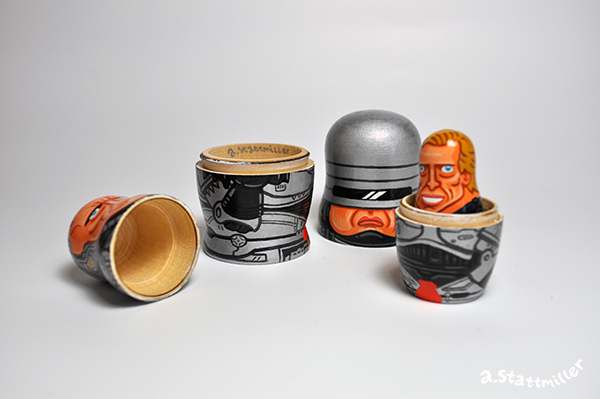 RoboCop nesting dolls are here...FINALLY! 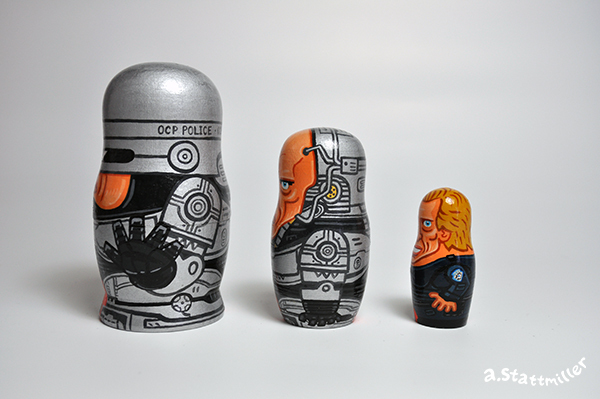 This is a 3 piece set, showing the transformation of Officer Alex J. Murphy into RoboCop (but you knew that already). 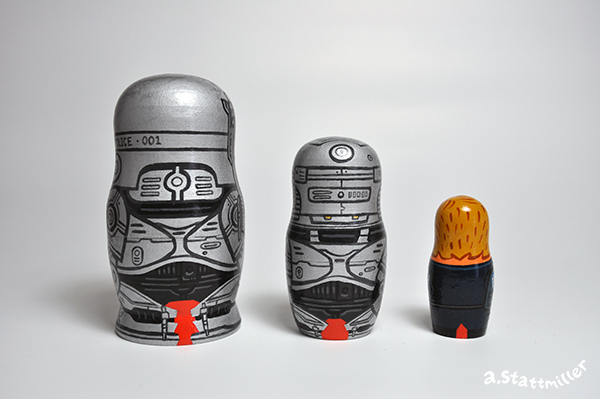 It's 4.5 inches tall on the big doll, about 1.5 inches on the small one. 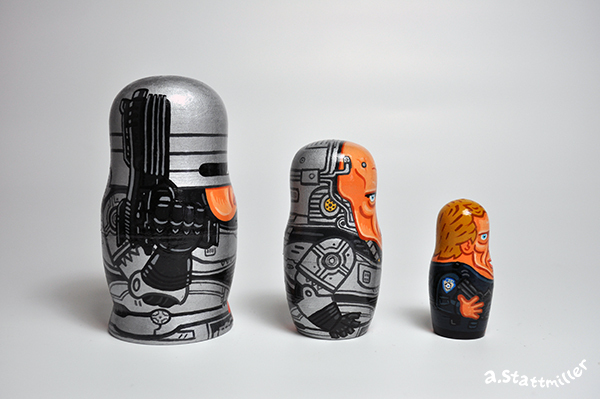 Hand painted with acrylic and silver ink. 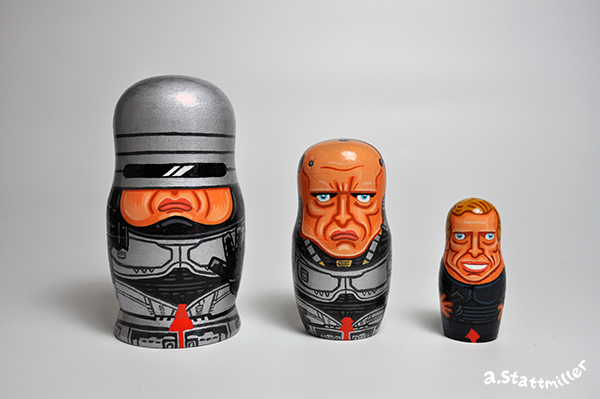 These will be part of Gallery 1988's group show 30 Years Later, works inspired by films of 1987. The opening is Friday, July 21st, 7-9pm. 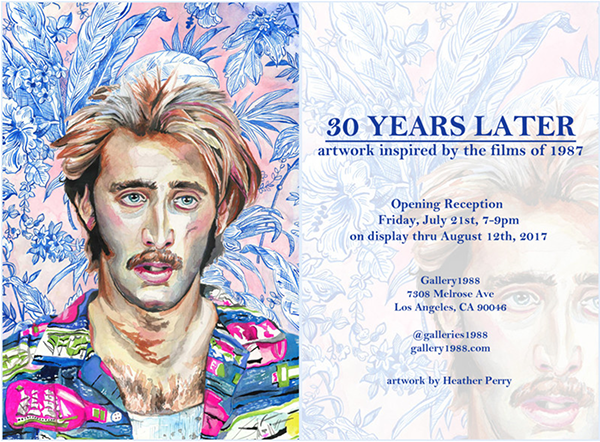 It's on display thru Aug 12.